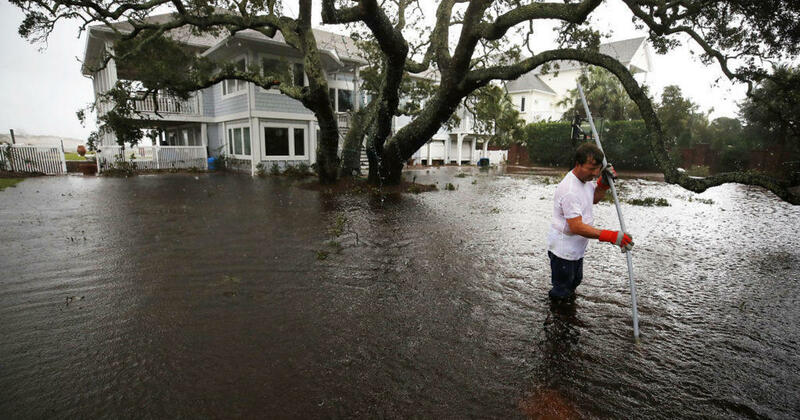 A million residents of North and South Carolina are beginning to pick up the pieces after Hurricane Florence drenched homes across both states. But the process isn’t easy. Difficult decisions need to be made, such as what to fix yourself, when to hire a professional and, most important, how soon to begin. Most consumer advocates say the faster you get back, the better. Even if roads are blocked to traffic, consider using a hand truck to carry your tools and walk the remaining way to your damaged property. “The severity of damage escalates the longer the water sits and the building stays wet,” said the nonprofit Institute of Inspection, Cleaning and Restoration Certification (IICRC). But BELFOR Property Restoration Chief Executive Sheldon Yellen warns not to go back too soon. Wait until local officials allow you to. The biggest enemy of a flooded home is fungus, which can overtake a house in 48 to 72 hours, said the IICRC. Once home, open windows and break out walls to expose pockets of moisture. If you have electricity from a generator, turn on fans, but don’t turn on the heat. Carpet may or may not be cleanable, but the underlying padding — whether from carpeting or wood flooring — is a big sponge and must be discarded, according to the IICRC. Check for all forms of damage, including broken pipes or even furniture, like bedding and couches, that may have been soaked by bacteria-filled flood water. Many people would argue that no one knows your home better than you. Those who believe in going it alone to clean up aren’t likely to wait days — or weeks — for professional help while their homes begin to rot. Instead, they’ll start fixing things by themselves. If you decide to do so, always wear a face mask. The IICRC advises you to conduct a “thorough cleaning,” including going down to the studs, joists and hardwood floors. Common household products will suffice, along with a vacuum cleaner with a HEPA filter to eliminate allergens, fine dust and spores. Don’t begin rebuilding your home before it’s completely dry. Covering over wet materials is a good way to ensure that mold and rot remain, no matter how well you rebuild. Experts agree that a professional should look over your house to make sure it’s ready for renovation. Even though these experts disagree on how to repair and rebuild, they agree that safety comes first. But also remember that time is the enemy once flood waters recede.